aughan Nankivell has been known as Mr Kingston in New Zealand for more than three years. He secured the rights to this title in February when he became the memory vendor’s first New Zealand-based employee. However, as regional manger for both New Zealand and Australia, Nankivell’s job involves overseeing the company’s operations on both sides of the Tasman. He was personally selected for the role by Kingston president and cofounder John Tu, after managing the brand at distributor Ingram Micro for more than three years. Nankivell was also told that Kingston was planning to appoint a second distributor in New Zealand, Synnex. This includes a corporate-partner programme that links resellers and end-users with Kingston, as well as the portal-based Kingston Care service programme launched in July. 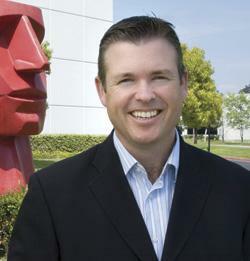 Nankivell moved to Los Angeles while working for Air New Zealand, where he got the “IT fever playing around with Novell networks”. He then became a field sales rep for two Los Angeles IT distributors, Hallmark Electronics and Arrow Electronics, where he started working with Kingston, before relocating to Tennessee to work for a document management firm. Nankivell then consulted back in the US for a year, after which he worked for IBM software reseller Convergence before joining Tech Pacific. I have started getting into YouTube just to figure out what’s going on there. It is quite fascinating and has changed my view of the internet – it is no longer about downloading, it is about uploading and people interacting. I couldn’t live without my iPod. It is a lifesaver when you travel. It would have to be a classic margarita – I have a secret recipe that has taken me years to perfect. Tiger Woods – just so I could say: How do you do it? What’s been the most important technological advance in IT? The PC revolution – I don’t think anything else has really changed the face of IT as much. It sparked a series of developments that created an industry. What is your corporate IQ by Jim Underwood. It is a review of the top 10 smartest companies in America – the likes of Microsoft and Costco, and Kingston was fortunate enough to be named. I was interested to see why this academic picked our company. There have been a few people. But in the last few years, someone I have come to really respect is John Tu. I don’t think I have met another person of that character. He is someone who has taught me a lot on patience and how to make things happen.